LiveIntent, the industry-leading platform for people-based marketing and advertising delivered in content sent by over 1400 premium publisher’s email newsletters, and Rubicon Project (NYSE: RUBI), which operates one of the largest advertising marketplaces in the world, today announced a strategic alliance under which LiveIntent’s highly coveted email inventory will be made available in an automated fashion in a newly established private marketplace via Rubicon Project’s leading Orders technology. 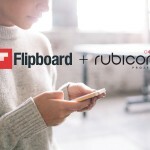 This alliance marks the first time that brands on Rubicon Project’s platform are able to reach and engage consumers via email newsletters. By integrating LiveIntent’s people-based marketing and advertising capabilities within Rubicon Project’s private marketplace, Rubicon Project customers can seamlessly reach 145 million unique people in the email sent by over 1400 brands and publishers. This partnership will provide brands with the features and functionality they need in order to seamlessly target, measure and perform attribution analyses across devices. LiveIntent is a smarter way to market and advertise in email. The LiveIntent platform helps over 1100 top brands deliver marketing and advertising messages in logged-in media to over 145MM unique, engaged people each month, in emails sent by over 1400 top US publishers and brands to their loyal subscribers. LiveIntent was recognized for the past three years as one of NYC’s fastest growing companies (by Crain’s) and as one of America’s Most Promising Companies (Forbes 2015.) With the anonymized email address at the center of its platform, LiveIntent and its Identity Graph provides incremental reach to brands, in mobile inventory where brands are struggling to reach their customers beyond Facebook and Twitter. LiveIntent is now one of the largest people-based marketing platforms in the world reaching over 145MM logged-in people and also one of the first, having gone to market with the technology in 2010. LiveIntent is headquartered in NYC, with offices in Austin, Berlin, Chicago, Copenhagen, Dallas, Detroit, Los Angeles, San Francisco and the UK, serving as home to 209 people and counting.